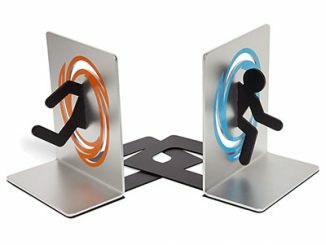 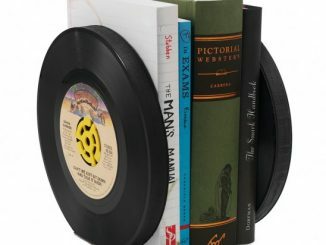 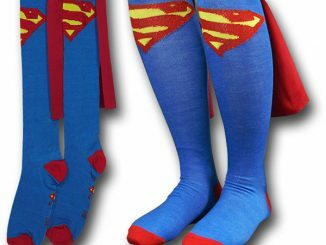 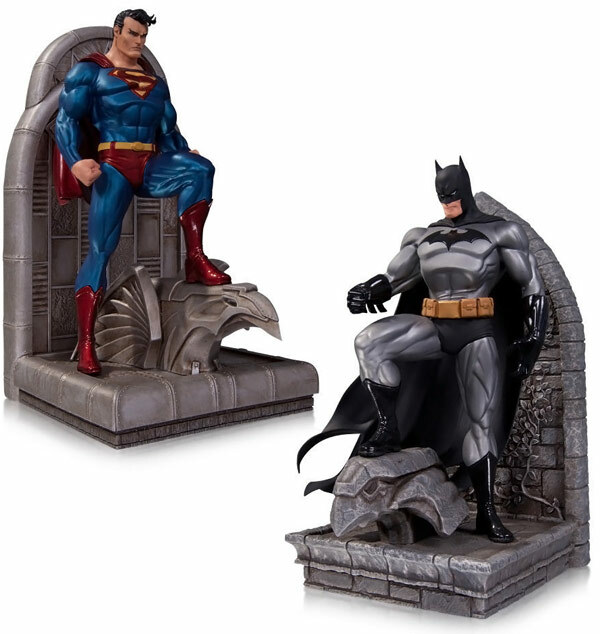 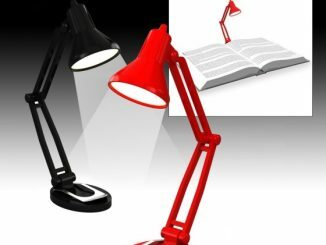 The Man of Steel and the Dark Knight come together to keep an eye on your books with the Batman and Superman Bookends. 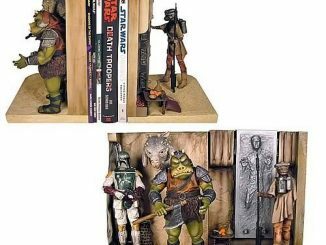 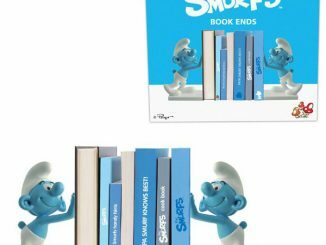 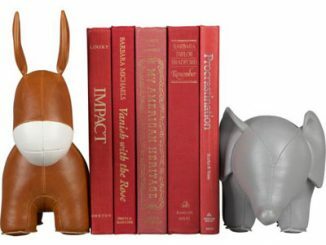 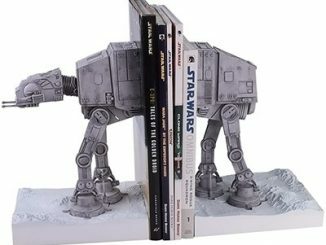 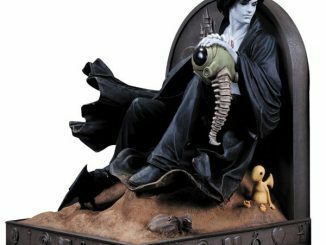 Based on designs by comic book artist Jim Lee and sculpted by Tim Bruckner and Adam Ross, these 8.75-inch-tall figures will make sure you have the most-guarded reading material in town. 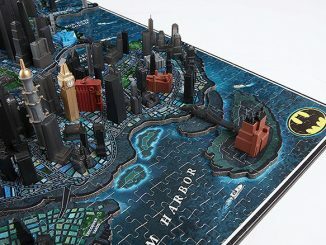 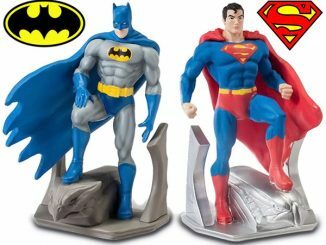 Batman and Superman are posed on unique bases that represent both Gotham City and Metropolis, and both highly-detailed figures show grim determination to get the job done. 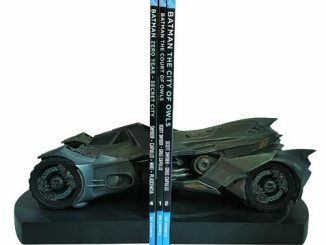 The Batman and Superman Bookends will be available June 30, 2015 but they can be pre-ordered now for $299.95 at the WBShop.